Klaus Fricke, 58, has held top jobs at European automakers, suppliers and dealer groups. FRANKFURT -- Former Fiat Germany boss Klaus Fricke will take over as CEO at mid-sized German auto supplier Dr. Schneider GmbH effective Jan. 24. “This group enjoys a great reputation within the industry and is the market leader with several products. The managing shareholders – Sylvia Schmidt and Annette Schneider – will allowed me to realign the company strategically and seize our growth potential internationally,” Fricke told Automotive News Europe in a phone interview. Dr. Schneider specializes in designing and molding intricate plastic interior parts such as heating and air conditioning registers and movable cupholders. Its top customers include Audi, BMW and Mercedes. The 84-year-old family-owned company reported 2010 sales of 240 million euros (about $325 million) and employs 2,200 people who work at sites in Germany, Spain, Poland, China, Brazil and the United States. Fricke, 58, began his automotive career at Mercedes-Benz. After positions at BMW and seating manufacturer Keiper Recaro, he was responsible for Smart sales and marketing in 1999 and 2000. He then joined Fiat Auto as marketing and sales chief and later was appointed head of Fiat Germany. He is also the former CEO of European dealer giant Emil Frey Group's German operations. Fricke has served on Dr. Schneider's supervisory board since mid-2010. 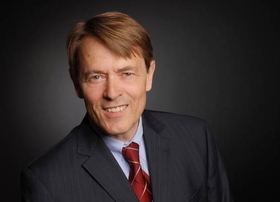 He also is a partner at German consultancy firm Graf Lambsdorff & Cie.